Just in time for the holidays! A Willoughby's exclusive. 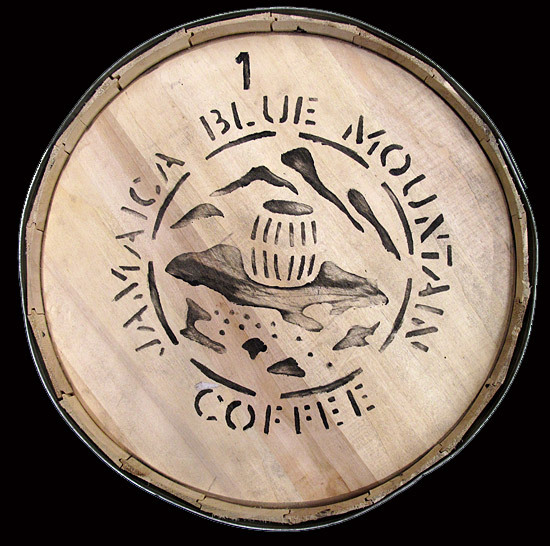 Beautiful signature wooden barrels filled with unroasted coffee from our favorite Jamaica source arrived mid November 2018, new crop, and we set out to roast it right away. Just in time for your holiday gift giving and personal enjoyment. Note this is a 12 ounce package. This is something you won't see everyday - a micro-lot from the Blue Mountain's Clifton Mount Estate called Juniper Peak. Thanks to our direct relationship with Jason and Richard Sharp of Clifton Mount they have sent us very special coffee that had not been available to the US market until they began to provide it to us some years ago. We, a roaster in Asia and perhaps one other company are the only lucky recipients of this coffee! Juniper Peak is a micro-lot from the highest areas of the Clifton Mount Coffee estate in Jamaica Blue Mountain. At about 4300 feet above sea level, the Juniper Peak area is made up of 15 acres of land which is surrounded by Juniper Cedar trees that shade the coffee plants and give the plot of farm it's name. Of the entire crop, Juniper Peak comprises a mere 2% of the coffee. The coffee is cupping beautifully this year and pricing is a little lower too!